Far too often, people believe they can’t complete CPR and first aid training because they’re not in the medical field. However, both these training programs are available to people in any career field. If you’ve been asking yourself, “where can I find CPR courses near me?” CPR Near Me is one of the most comprehensive resources on the web. We’ll find you providers located near your city, and we offer free online courses that you can use as either a supplement or as a certification program on its own. No matter how you want to approach obtaining CPR and first aid training, we can assist you. According to the American Heart Association, CPR in its current form developed in pieces with the Paris Academy of Sciences recommending that drowning victims be revived via mouth to mouth in 1740. Soon after in 1767, the formation of the Society for the Recovery of Drowned Persons occurred, and then in 1891, the use of chest compression performed by a doctor on a human was used for the first time. It would seem that after that point, the development of what we now know as CPR began to develop rather rapidly with successful chest compressions occurring in 1903. Then in the 1950s, the discovery and development of mouth to mouth as we currently know it today occurred. In 1960, CPR in its final form was officially developed, and the American Heart Association officially became a front runner in educating the public. ACLS was developed in 1979, and by the early 80s, the movement was well underway. Today, we have CPR courses, public first aid training, and ACLS available to the public. The development of new courses and more streamlined teaching techniques have made training programs more formal. New course providers have arose and made improvements to the training. 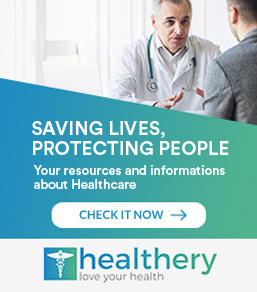 If you ask many people who aren’t part of the medical field, they feel CPR and first aid training are irrelevant to them, so they have no desire to search for, “CPR classes near me.” However, paramedics, nurses and other medical professionals aren’t the only ones who could benefit from CPR and first aid training. Making that simple Internet search for “CPR classes near me” could be the start of saving a life in the future. The American Heart Association states every year 383,000 cases of sudden cardiac arrest occur. Cardiac arrest is defined as the disruption of the natural electrical shocks, which causes the heart to stop beating. According to the AHA, 88 percent of these cases occur at home, making it much more likely that the person suffering from sudden cardiac arrest will be with a friend, family member or co-worker rather than at a hospital or other medical facility when a serious cardiac event happens. Although it seems that if the heart stops beating, death is inevitable, but the Zoll’s CPR Facts and Statistics Sheet says CPR can increase survival rates by two or three times. That makes it a valuable skill to have just in case the unexpected happens, especially if it’s someone you know and care about who’s in trouble. Ever heard the saying “An ounce of cure is worth a pound of prevention?” Safety isn’t always about being able to swoop in and make saves at the last minute like a superhero; it’s about being able to spot and prevent an emergency before it has a chance to occur, or in certain cases, gets worse and causes permanent damage. If you spend a lot of time outdoors or overseeing children and youth as a daycare worker, a wilderness or scout leader, or a babysitter, CPR and first aid training is a valuable skill to possess. Managing injuries that can occur every day and being able to recognize when a burn, for example, requires immediate medical attention, could be the difference between a mild injury and a more severe one. Have you ever been in a sudden and unexpected situation that promptly put you into a blind panic? A big part of the reason for panicking in those situations is because you’re not sure what the best course of action is. Perhaps the biggest benefit of researching “CPR courses near me” is that when faced with an emergency, you’ll know exactly what to do next. That’s important because that sense of calm coupled with a proven plan, in turn, improves the victim’s chances of survival in the grand scheme of things. CPR Near Me is a site that will save you hours of time entering Google searches like “CPR courses near me” or “free CPR courses near me” while also being a resource in its own right. The listings are constantly being refined with some entries being “verified,” meaning business owners have claimed their status as CPR providers, and other listings being “unverified” but still capable of being reported and improved by readers. You can use the search bar to find places that offer CPR training based on your location by searching your zip code. You also have the option of going to the bottom of the page and directly finding information just by clicking on the city nearest to you. CPR Near Me doesn’t just provide CPR course provider listings. You can also use the site to find urgent care locations, clinics, blood donation centers, and first aid stores. In addition to providing listings for CPR course providers, we also offer online CPR and first aid training. Therefore, if you’ve frantically searched for any and all “free CPR courses near me,” CPR Near Me is the answer to your search results. Why Take Our Online Courses? Although the benefits of taking courses in person are well-established at this point, the fact of the matter is that not every schedule is able to accommodate traditional course times. You could be studying, have family members who require your time, or have a job that has odd hours or requires large quantities of your energy, making CPR classes impractical. With our online courses, you’re not obligated to get in your car and drive to a set location every day at a particular time. You can learn CPR at a time that’s convenient for you at a location ideal for you–your own home. We’re also a solution for the search inquiry, “free CPR courses near me.” You can access the training and the course material directly from us at no cost throughout your training. Then, whenever you’re ready to take the exam, you can do so. You don’t have to pay us until after you’ve completed the course and passed the exam. And if you’re ready to take the exam without completing the course, you can skip the training and take the exam right now. With many traditional courses offered in brick and mortar buildings, you don’t have the option of picking up CPR or AED training while on vacation. When you start digging deeper into the results for “free CPR courses near me,” you’ll find yourself quickly locked into a timetable that’s not customized to your needs. If a sudden work engagement arises that requires you to leave town, you can forget about completing your course in that session, even if you already began it before you had to leave town. CPR Near Me is based online, which means that no matter where in the world you happen to be, you’ll still have access to the material, so a trip doesn’t have to interfere with your certification. Now more than ever, it’s essential for members of the public to possess a variety of skills. CPR is one of those all-around certifications that it’s useful for everyone to know. The skill isn’t limited to doctors and nurses. And although it benefits babysitters and other professionals who work with young children, CPR training is beneficial to everyone. 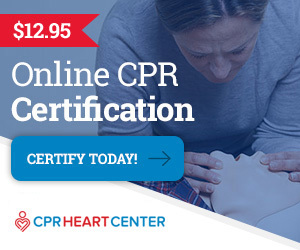 So the next time you’re sitting at your computer and typing queries like “CPR courses near me” or more specifically, “free CPR courses near me”, just remember that CPR Near Me can help you find what you’re looking for and can even provide you with the certification you’re looking for. Whether you’re getting re-certified or you’re learning for the first time, we have course material that works for you.